Self-actualisation is at the top of Abraham Maslow's hierarchy of needs pyramid. To quote Abraham about self-actualisation, he said: "What a man can be, must be". 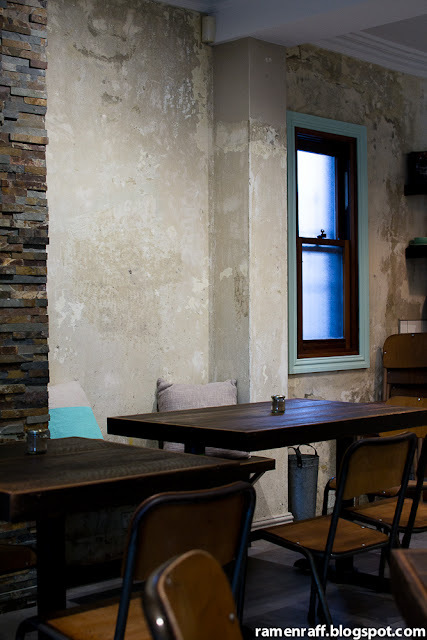 Speaking of Maslow's, Chef Jack New (Ex-Pier, Cafe Sydney, Sokyo & Edition) and crew has recently re-opened Maslows at a new location in Naremburn. I really dig their new space. The interior has a clean, slightly Scandinavian and contemporary minimalist approach. 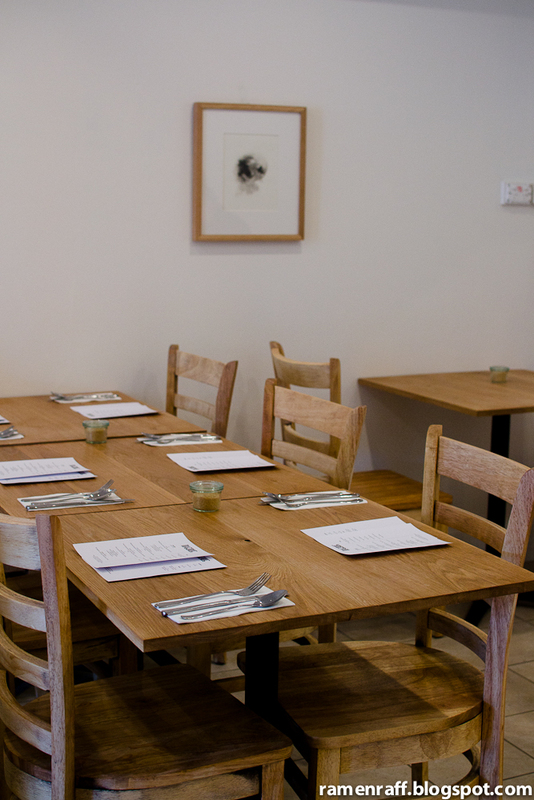 Seatings for 2, groups of 4 and 6 are available inside and outside the cafe. 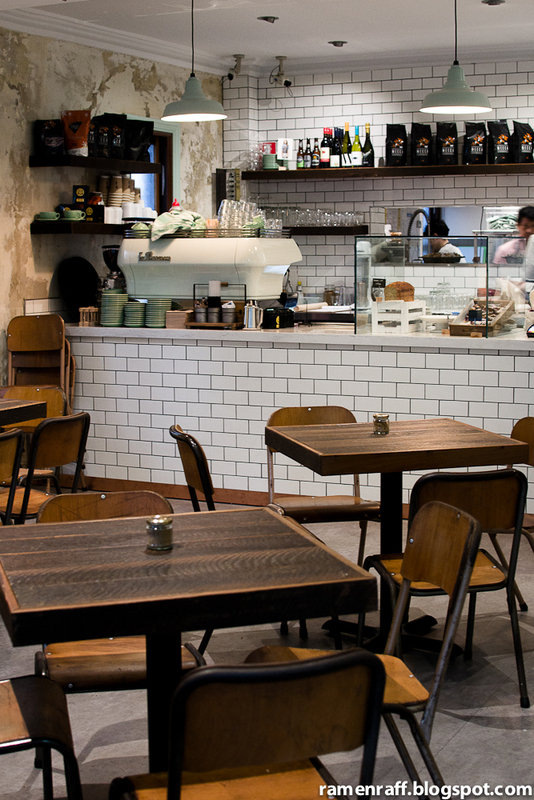 There are also single seatings by the brew bar and the long wall-mounted table. 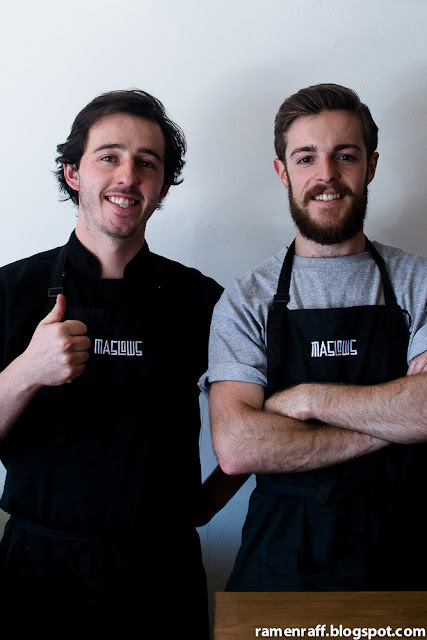 The style of food can be classified as Modern Australian but is also an accumulation of all of Jack's culinary experiences as chef and lover of food. Expect anything from French to Japanese. 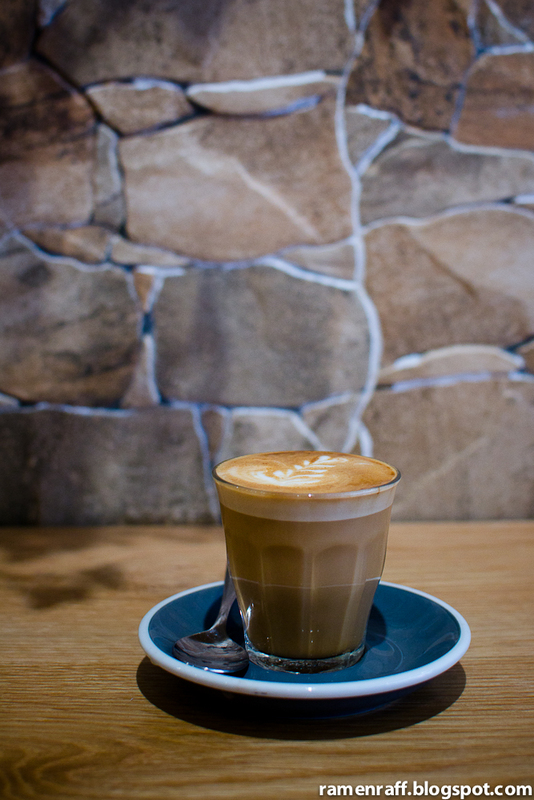 We had a latte ($4) and piccolo latte ($4) with Seven Seeds seasonal blend. Milk texture and temperature were on point. I especially loved the sweet plum and floral notes from the blend. 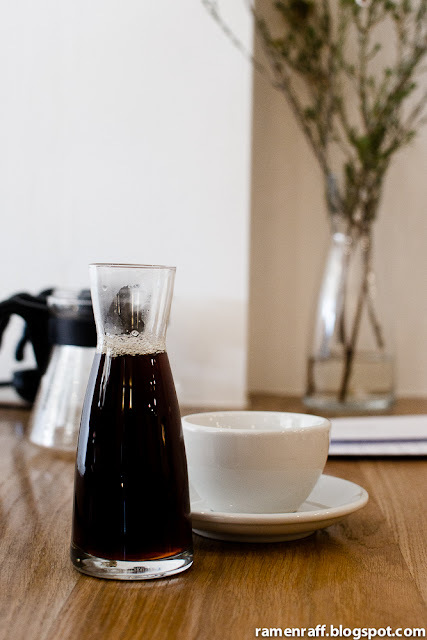 I had a V60 pour over filter coffee ($5) of Ethiopia Wote by Drop Coffee. It's good for up to two servings. It was citrusy and not heavy on the palate with a floral aroma. Now down to the food! We ordered two pork based dishes because: 1) We love pork and 2) Jack does wonders with pork. The new and improved version of Mr. 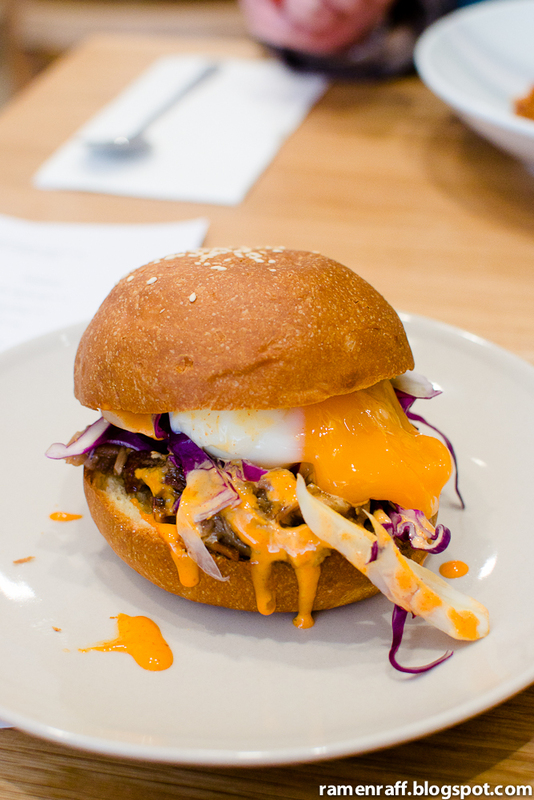 Pig ($12 - available all-day) has braised pork, onsen egg and herb salad in brioche bun. The pork may appear like it was pulled but it's actually super tender pork that just fell apart in the process. It was also flavoursome with hints of sweetness. The beautiful onsen egg with runny yolk was perfectly cooked and the herb salad acted like a slaw. The buttery soft brioche held the whole dish well. 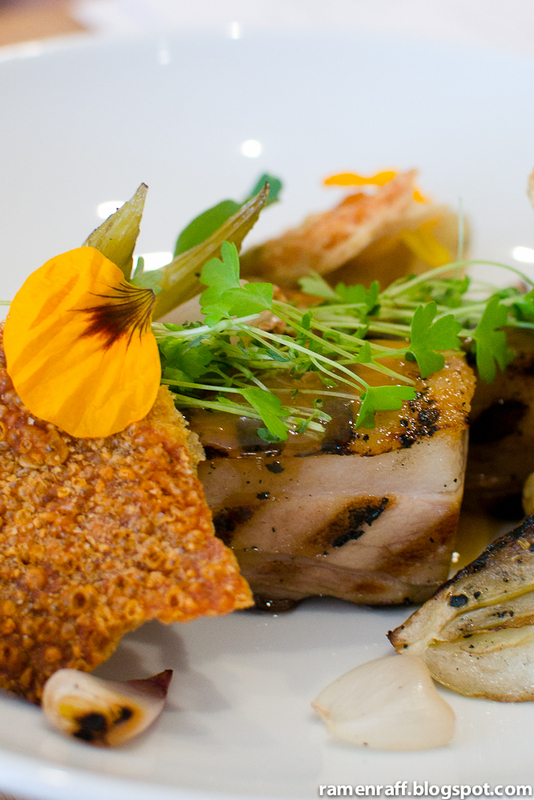 Besides being seductively plated dish, the 3 Little Pigs ($24 - available from 11am) was delicious! 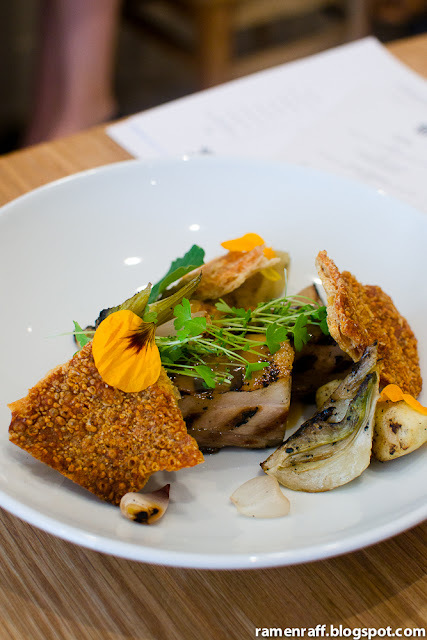 It had three glorious shards of pork crackling, 2 chunks roast pork belly, sour cream caramel and charred vegetables. The pork crackling were nothing short of awesome. The roast pork were fatty and tasty that had a nice caramelised finish. The charred veggies went well with the pork. I've never had caramel with pork but Jack's sour cream caramel sauce works just as well as apple sauce or chilli jam with pork belly. I was already a fan of Jack and Tom's work to start with. 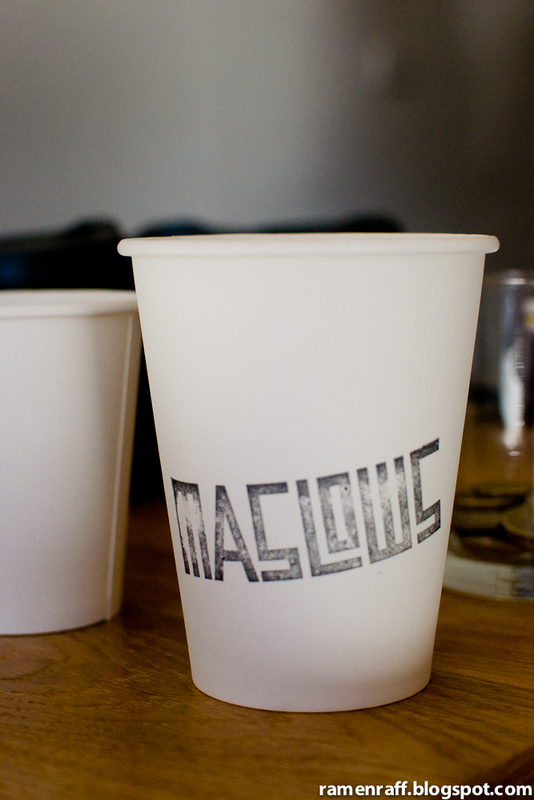 My experience at the new Maslows has left me still in awe with this duo. I look forward to going back to try other dishes like lotus root carbonara ($18) which consists of lotus root, edamame, speck & egg yolk and the Tokyo schnitzel ($21) which has nori crumbed chicken, fennel slaw, white bread and kewpie. 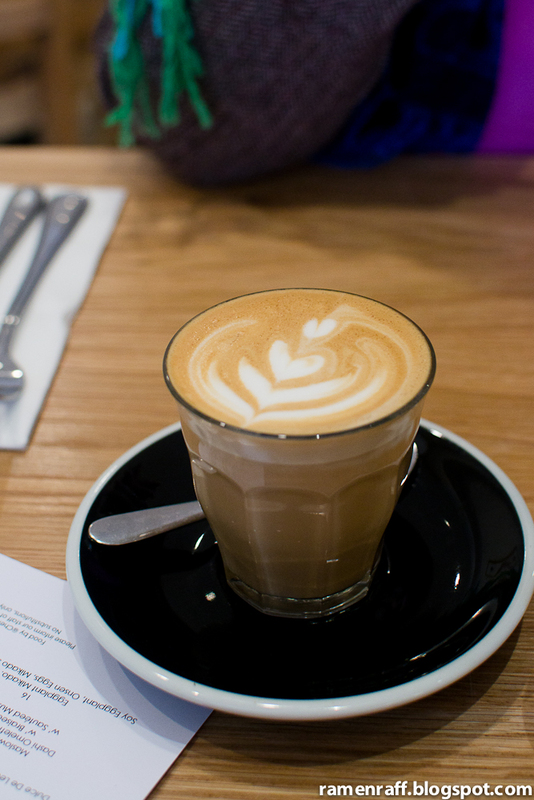 Redfern has gotten a lot tastier with the addition of a new cafe. 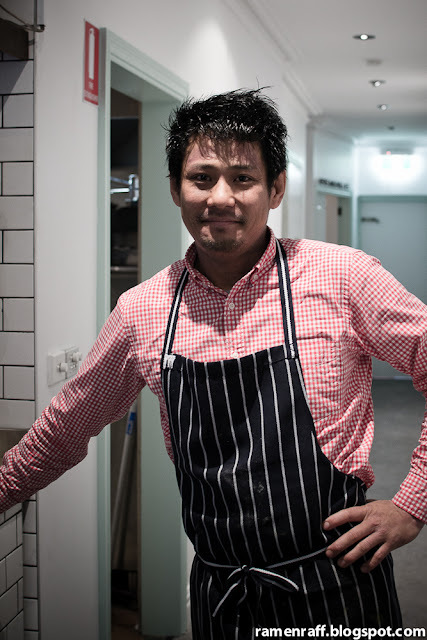 Bill's ex-head chef Kenny Takayama has gone on a new journey in his career and started his new establishment called Cafe Oratnek. Now, he's on a road to make his mark in the culinary world by giving his own twists to some food classics. Oratnek opened earlier today in Redfern, corner of Pitt and James Streets. 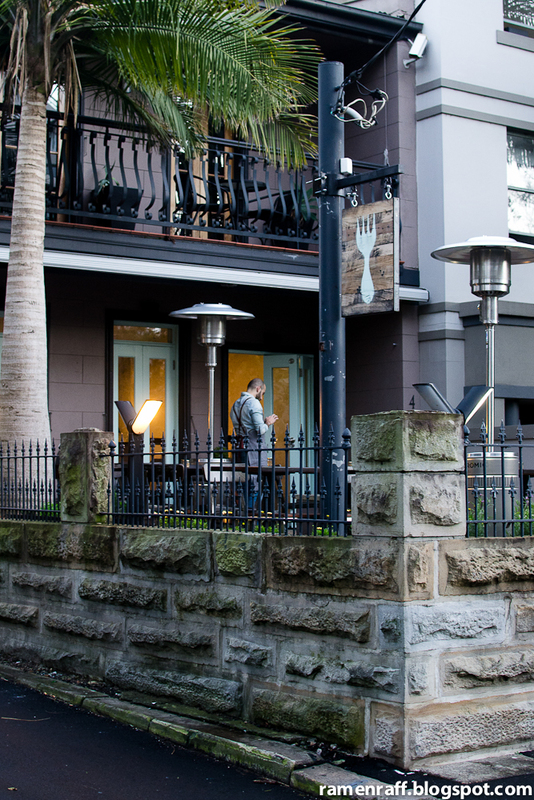 The interior/exterior space has a mixture of industrial and contemporary bistro look with some traces of a modern English cottage. There is a lot of available sitting both indoor and outdoor. 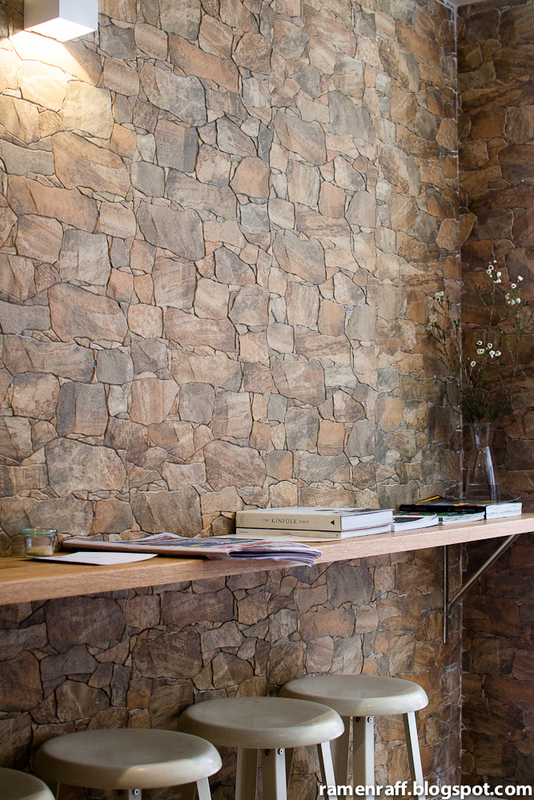 The place had this vibe of a mini escape from the hustle and bustle of the nearby CBD. 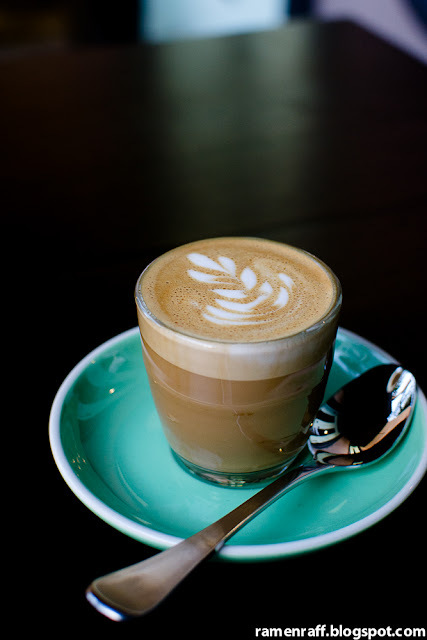 Coffee is sourced from Mecca and the bread from Brickfields. 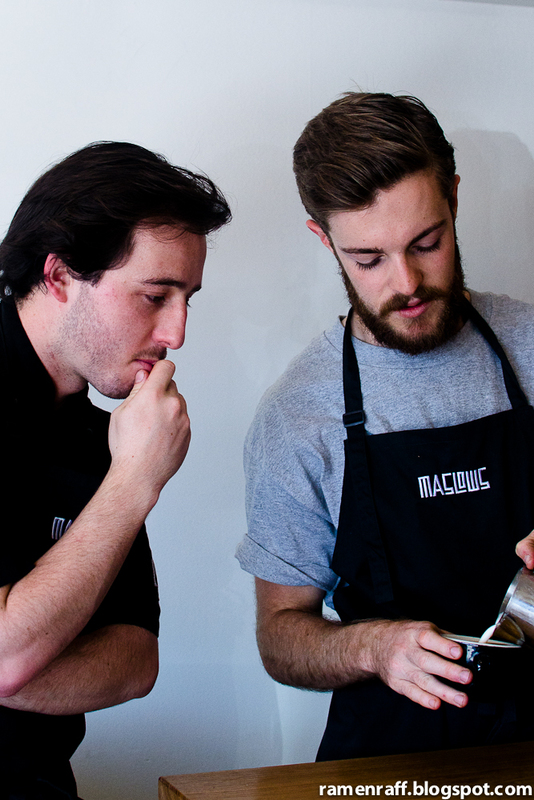 Everything else is made in-house by Kenny and his team. The dishes are modern Australian with touches and influences from different Asian cuisines. 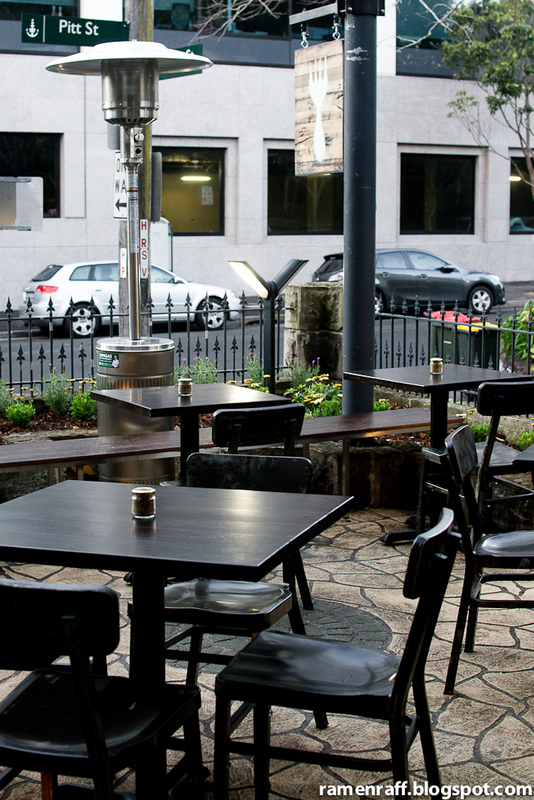 The breakfast menu is all day and the lunch menu starts at 11:30am. The piccolo latte ($3.50) I had was fruity and a tad floral from Mecca's dark horse blend with medium body. The milk temperature was also perfect and not too hot. 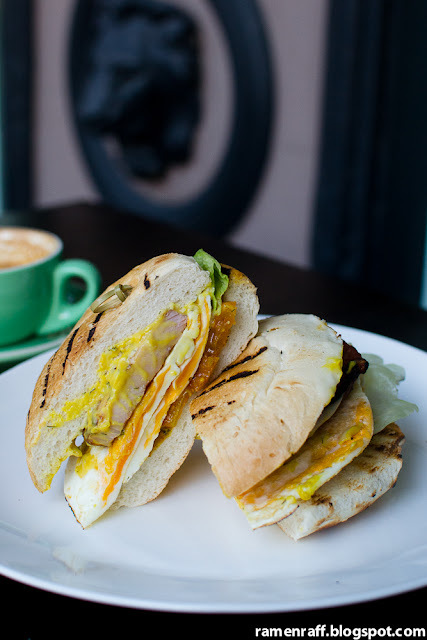 Part of the breakfast staple menu is their take on the classic bacon and egg roll ($12) with the inclusion of tomato chutney, mustard mayo and iceberg lettuce in a soft bun. I really liked the bacon, which is thicker than your average bacon rasher and is almost like a slab. It is smoky and not salty. The sweetness of the chutney and the light bite from the mustard work well. I think it could do without the lettuce as all the other components make this whole roll delicious already. 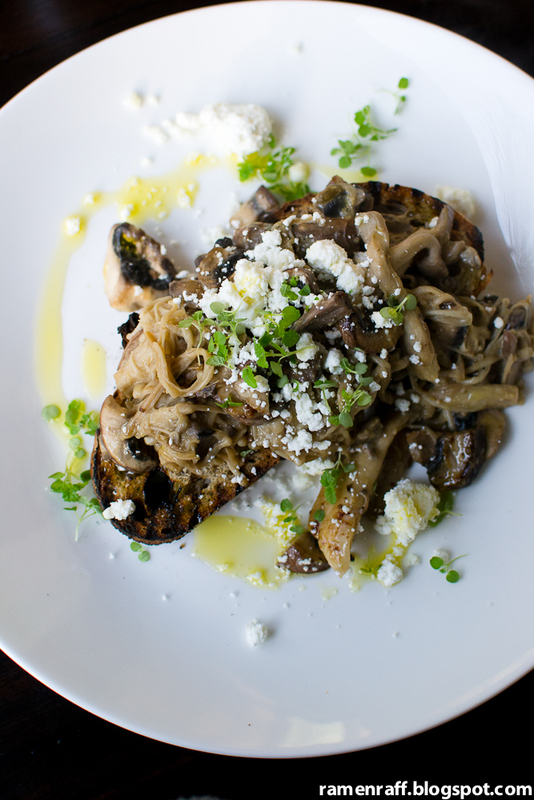 The sautéed mix wild mushrooms with miso, butter, goat’s cheese and herbs on light rye toast ($13) was also an awesome dish. 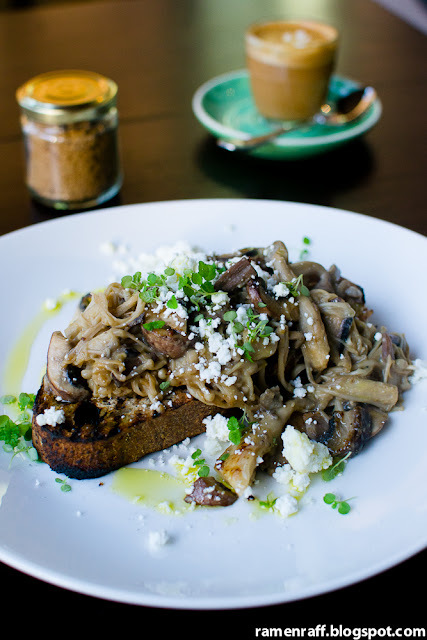 I loved the contrasting textures of the toast with silky wild mushrooms. The flavours from the butter, milky goats cheese and sweet mushrooms came together well. 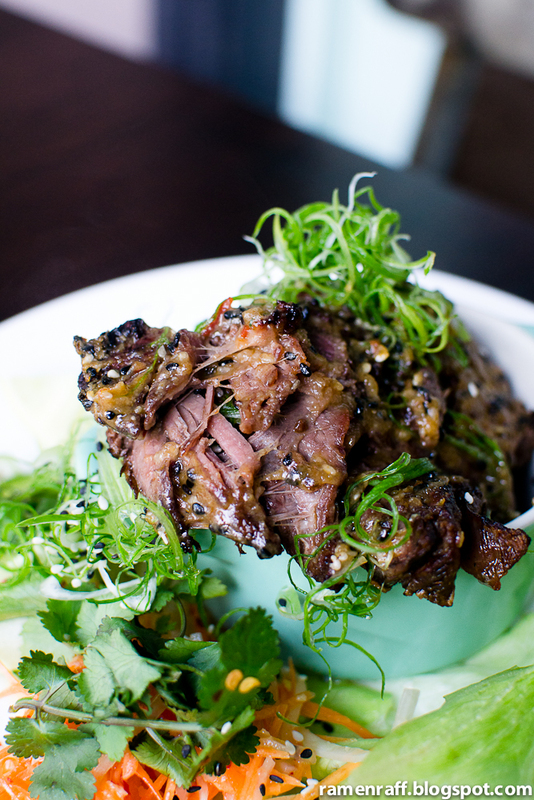 Last but not least is their miso bbq boneless beef short ribs, san choy bow and coriander dip ($21). The beef short ribs was sensational! It had all things one would love in bbq beef short ribs: fatty, flavoursome and it was extremely tender. It was nicely caramelised with a sweet and smoky miso glaze. It was even tastier with the lettuce wrap and pickled vegetables. Do yourself a favour and order this dish first when you visit! It was only their first day of trading and they've done so well. Service and food were excellent. I definitely will return to try their pork katsu sandwich ($10), Japanese fried chicken sandwich ($10) and spicy pork stuffed chicken wings with chips ($18). In an ever changing world, consistency can be a good thing too. It maintains an established reputation and if it's already great, it stays great! 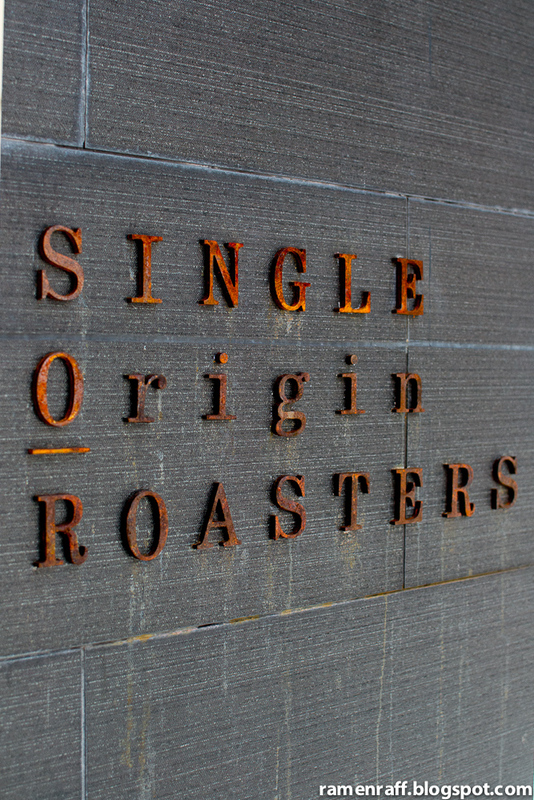 Just like Single Origin Roasters and their Reservoir blend. Hence, why they've become of one of my favourite cafe/roasters of all time. The announcement of their CBD space opening on York Street was one of the best news I've heard recently. 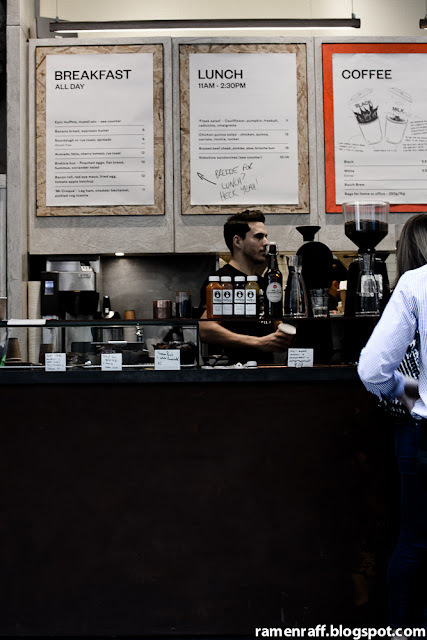 Single O CBD is a takeaway specialty coffee and sandwich shop. It has small bar-like areas if you choose to have your coffee and food there. The joint is made up of an awesome team headed by Michael Phelan. I love how they have the Reservoir blend up on the wall like it's an artwork/trophy. 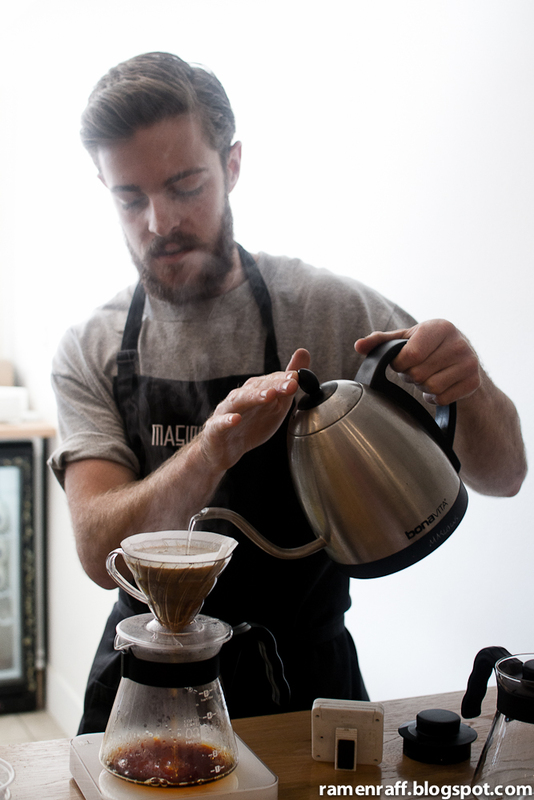 Well, it's a winning blend to start with anyway. 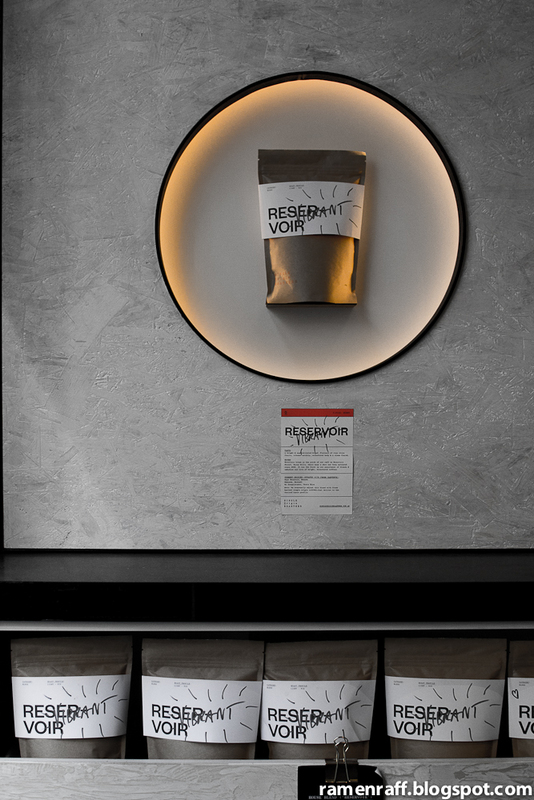 Espresso, milk coffee and batch brews are available. 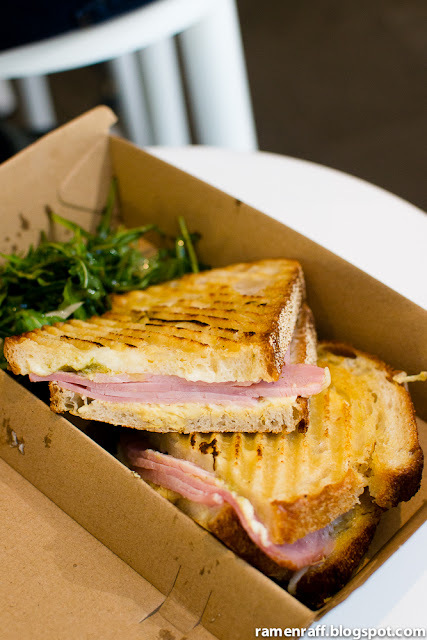 The food mainly consists of sandwiches, toasties and some pastries. 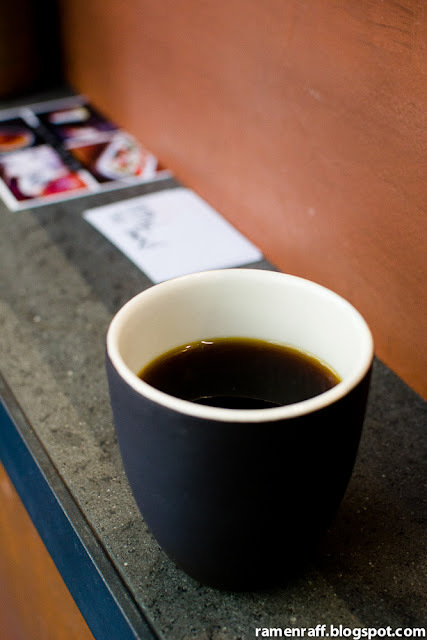 I tried a batch brew of Tanzania Mimba ($3.50). 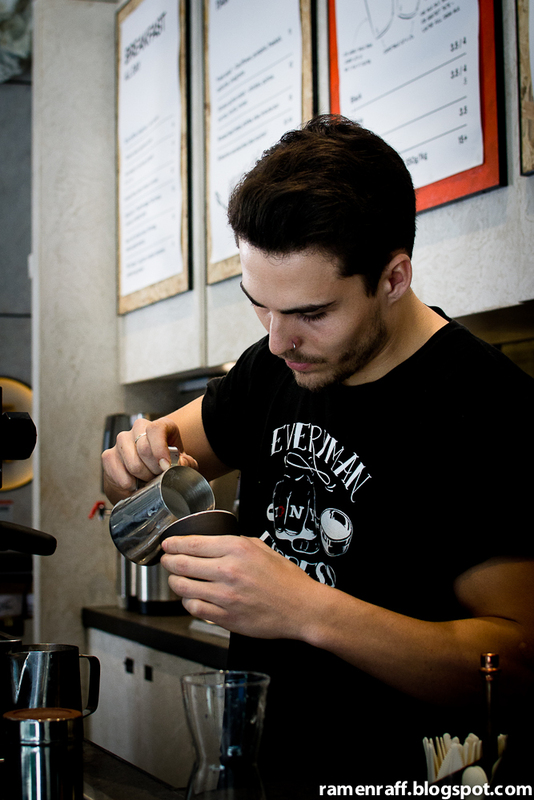 It had beautiful notes of red currant and light cola. 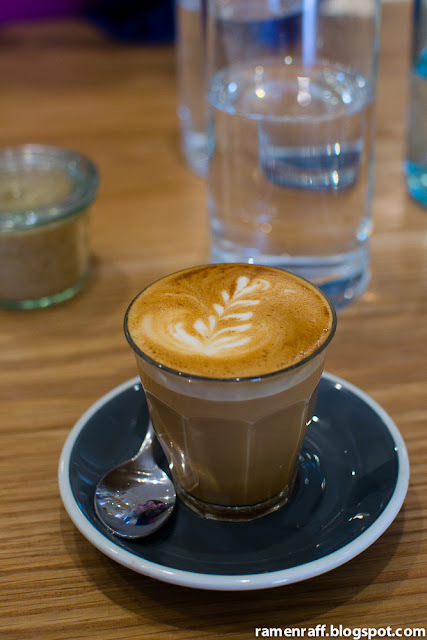 It tasted almost like Kenyan coffee but more juicy. The vibrant sweetness and acidity of the Reservoir blend pierces through the milk of caffé lattes and flat whites ($3.50) nicely. 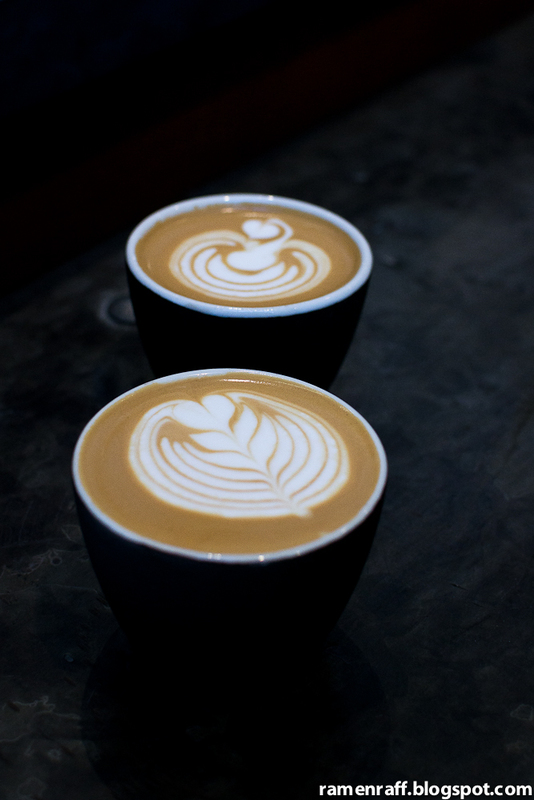 Speaking about milk, Michael's milk texturing skills is off the hook and his latte art is at hectic competition level. 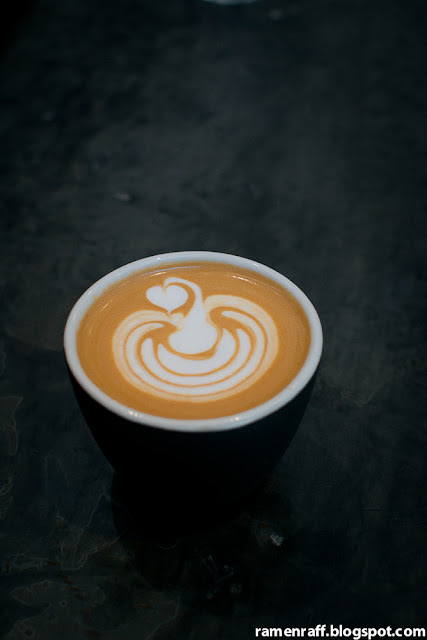 The milk temperature was also perfect. 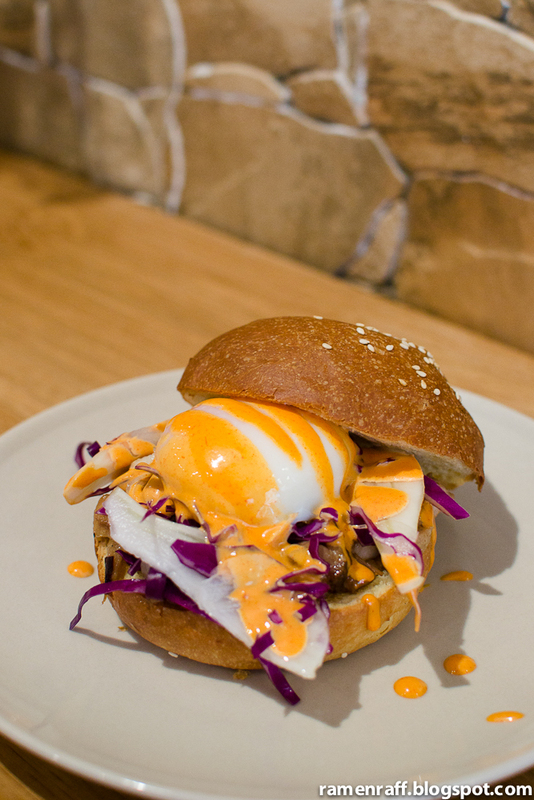 The Mr Croque ($11 - from the breakfast menu available all day) is their play on the Croque Monsiuer. Hands down it is one of the best toasties I've had. 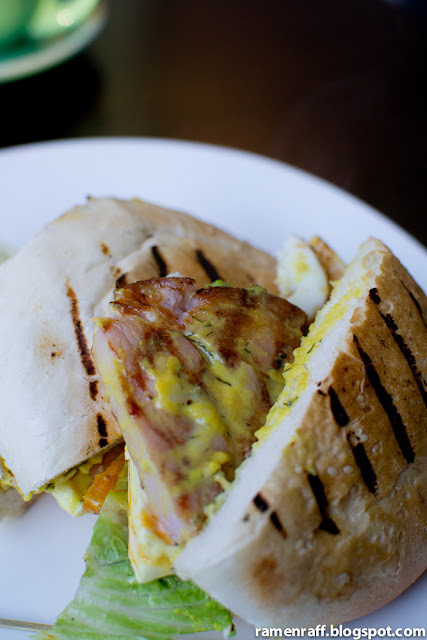 It contains leg ham, béchamel, melted cheddar and pickled veggies in sourdough toast sandwich. The béchamel white was my favourite part with it being creamy, sweet and buttery. I could have this everyday and not get sick of it. Their braised beef cheeks roll ($15 - available from 11am for lunch) is nothing short of amazing! 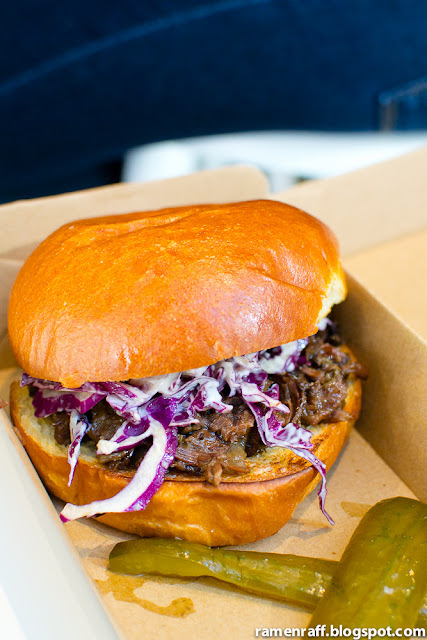 It is beef cheeks braised to perfection, pickles and slaw in a lightly toasted soft brioche bun. 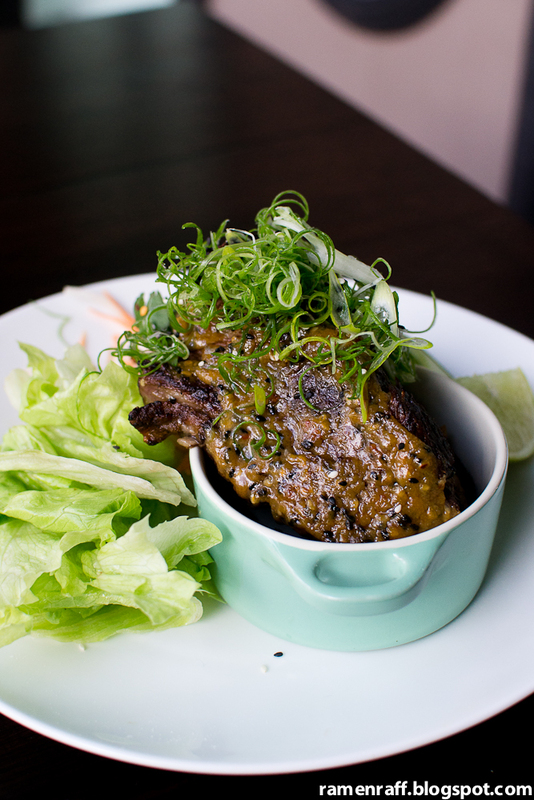 The beef cheek is flavoursome, buttery and tender that it just melts in your mouth. 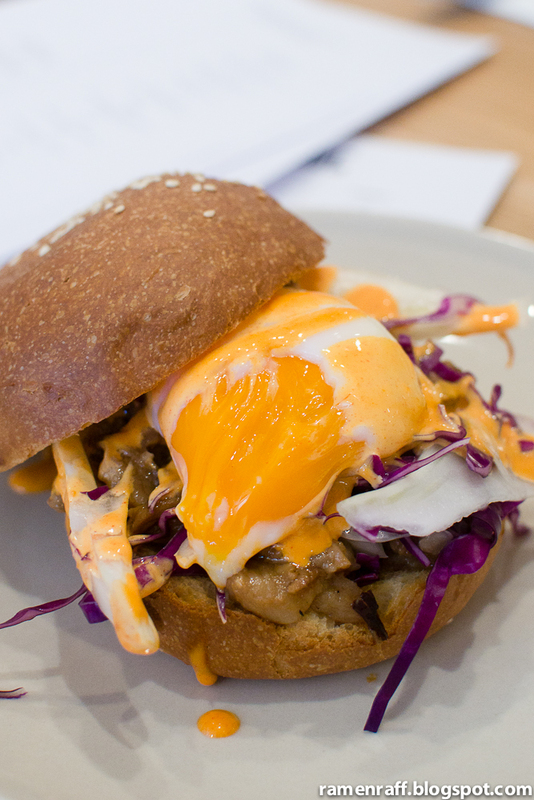 The pickles and creamy slaw was perfect for balacing out the whole dish. Basically, I'm a fan of what Single O is doing and especially with this new CBD addition. 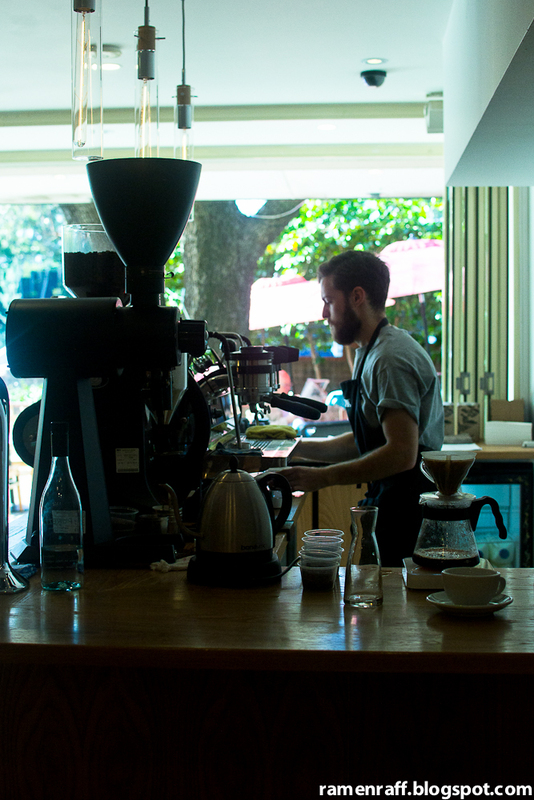 What Single O CBD lacks in shop size, it makes up and excels in both coffee, food and service. 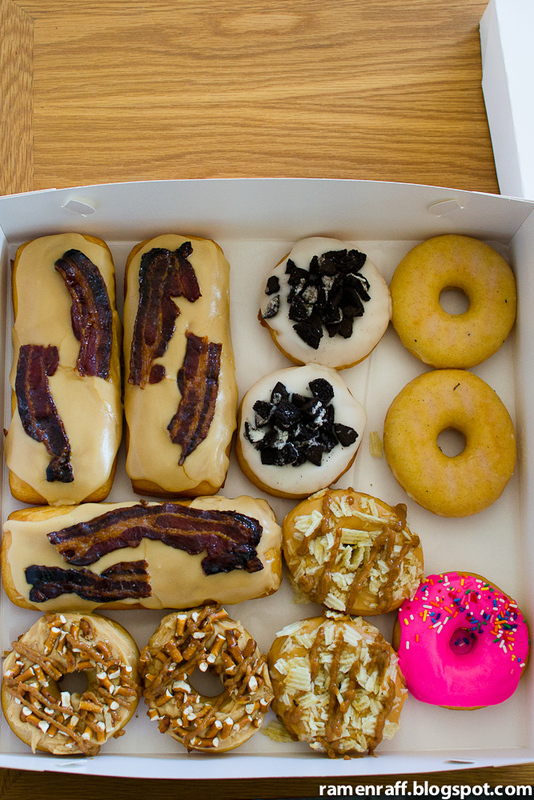 I do-nut know about you but my #FRYday's are a lot brighter with doughnuts! 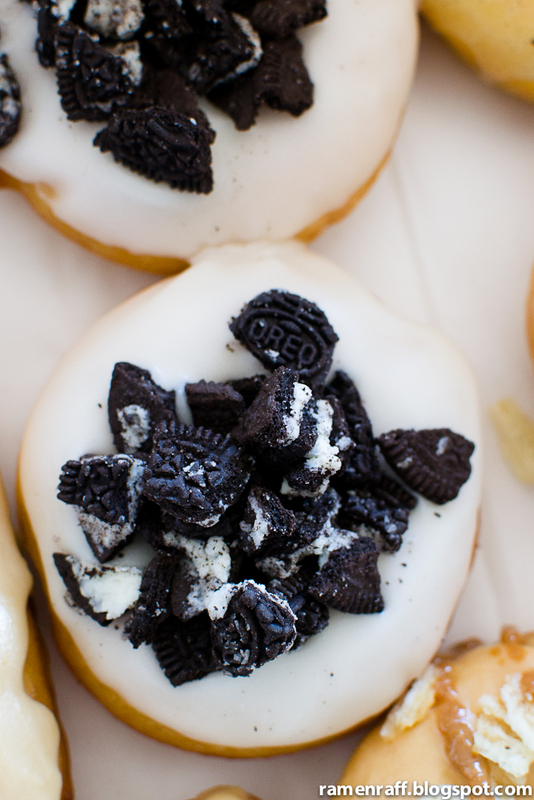 They are amongst the most loved treats around the world. Almost every culture has their own version of them. I just can't get enough of those soft American-style glazed ring doughnuts! 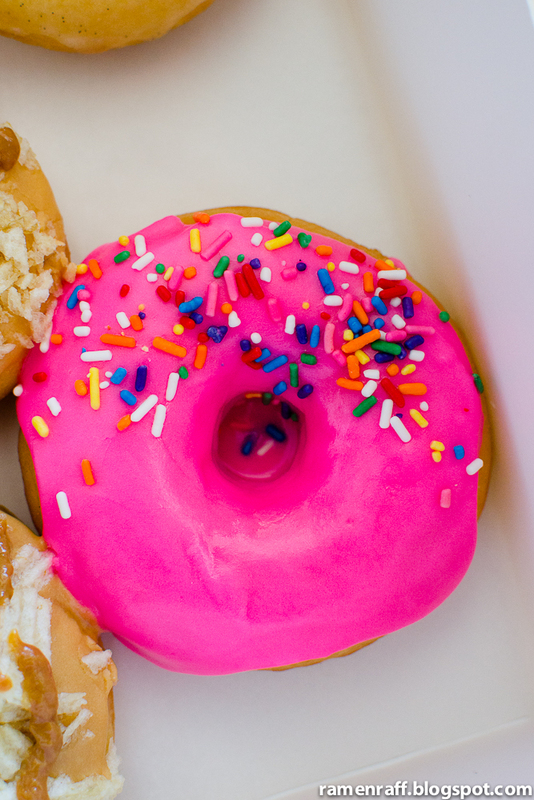 The Sydney doughnut scene has just gotten more sweet with the arrival of Grumpy Donuts! I've been wanting to try their doughnuts since they released them weeks ago across Sydney at cafes like The Wedge Espresso, Orto Trading Co and Bread & Butter. Owners Elise and Scott are doughnut enthusiasts who has travelled the world and done their research of these loved treats. Shortly after refining their doughnuts, they unleashed the force that we've come to know as Grumpy Donuts. I first heard about them through my homegurl Alana (check out her blog post about Grumpy here). I was so stoked to have finally tried them myself last Friday! Here's what went down. 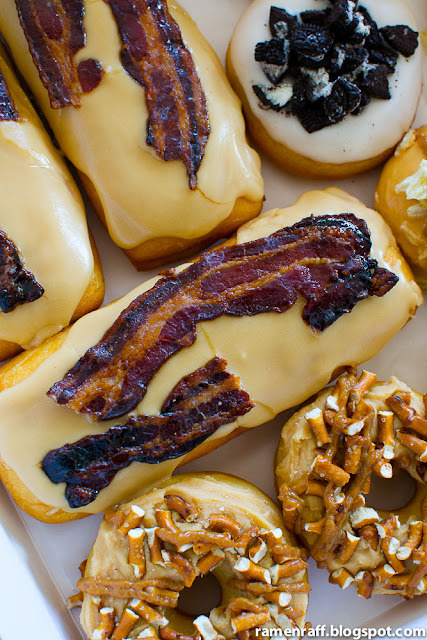 I went for the maple bacon doughnut bar first! First thing I noticed was that the actual doughnut was soft (same goes for the other doughnut flavours) which is a good start. I could taste distinct maple flavour from the icing and it was perfectly complimented by the very smoky candied bacon. This was my favourite flavour amongst the others! It was also huge! 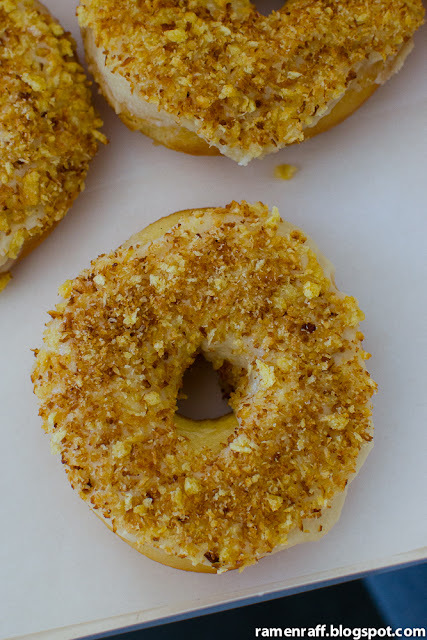 The buttered toast doughnut was also exceptional! I loved the contrast of the glazed and crumbed toasted brioche. The brown butter glaze tasted like a combo of caramel and butter. 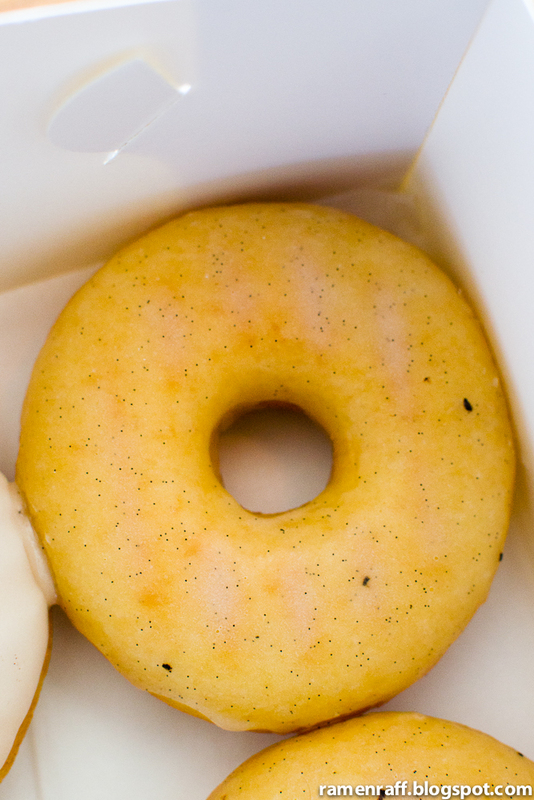 The vanilla bean flavour in the glazing used for the original glazed doughnut came through nicely. If you love cookies and cream, then the vanilla oreo ring doughnuts are for you! They do not hold back on the peanut butter used for their peanut butter pretzel doughnut. 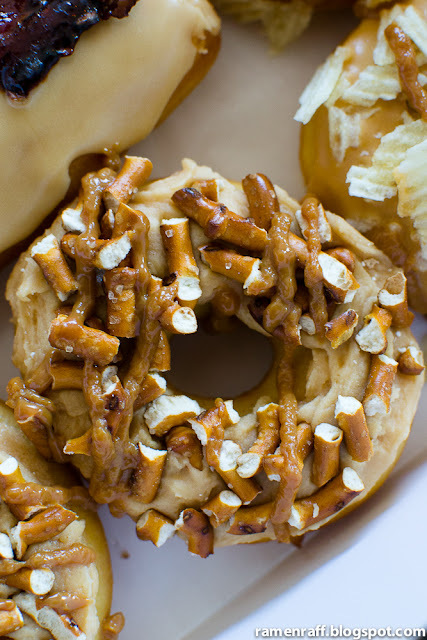 The peanut butter icing just goes down well with the crushed pretzels and dulce de leche drizzle. 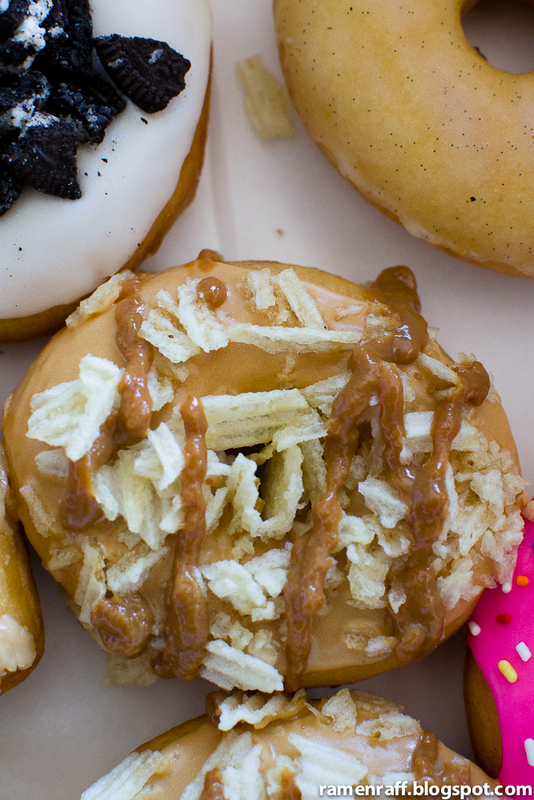 I thought the caramel potato chips doughnut was going to be too salty because of Ruffles potato chips and salted caramel icing. But the flavours were well-balanced. The dulce de leche drizzle may have also played a part keeping the flavours in harmony. 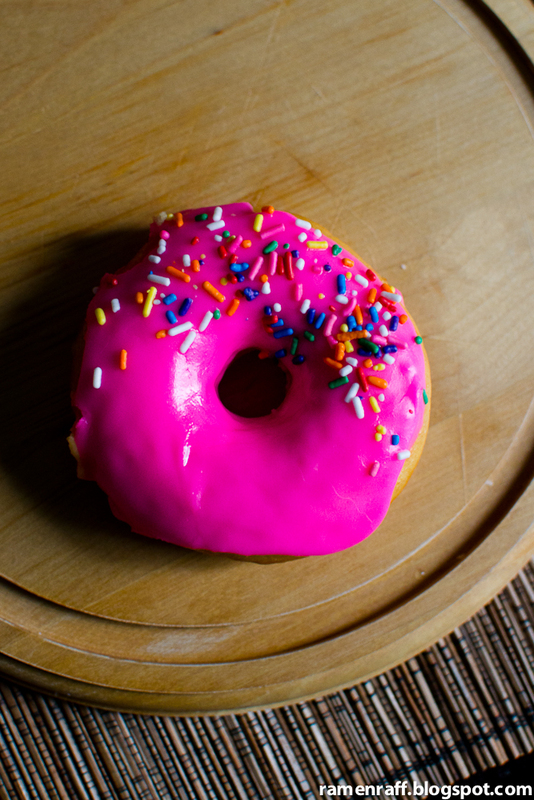 The Grumpy doughnut has neon pink coloured vanilla icing and candy sprinkles. I can't help but think of the Simpsons when I look at it! Thank you Elise and Scott for bringing extra joy to Sydney with your amazing Grumpy Donuts! 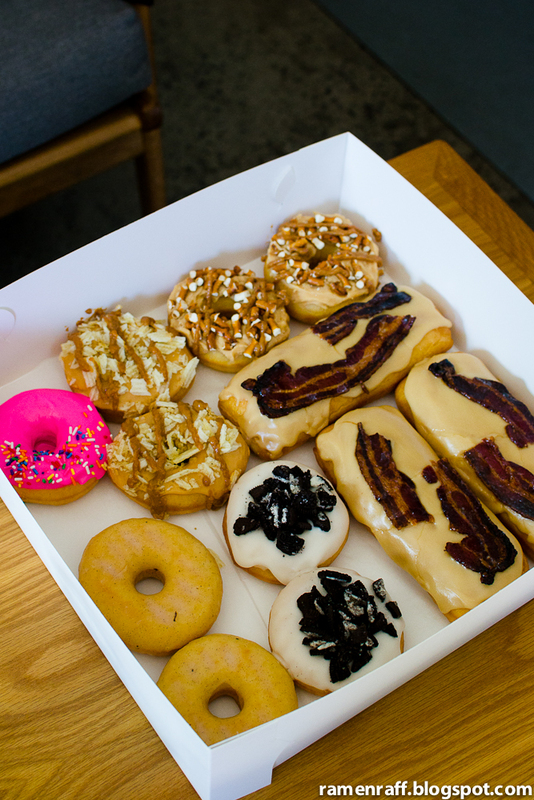 Check out their website for other flavours and how you can order doughnuts. Follow them on Instagram (@grumpydonutsofficial) and like them on Facebook (https://www.facebook.com/grumpydonuts) for the latest updates!